A sharp rise in the value of the NZ dollar prompted by developments in the United States and then stronger than expected GDP figures may have ramifications for the Reserve Bank's plans to raise interest rates. Statistics NZ said Gross Domestic Product rose 0.2% in the June quarter, which was a much better outcome than had been most recently expected by economists. An already soaring New Zealand dollar was given an extra set of wings by the announcement, with economists suggesting this could have implications for the extent of interest rate rises the Reserve Bank will consider further down the track. A higher Kiwi dollar causes problems for exporters - but makes imports cheaper and takes the pressure off inflation, potentially alleviating the need for interest rate hikes. Up till recently economists had in fact on average been expecting the economy to grow by around 0.2% for the quarter, but had been revising that down sharply in recent days and weeks as surrounding economic data being released pointed to a stalling of economic momentum. And in further better than expected news, Statistics New Zealand revised the previously released March quarter GDP figure up from growth of 0.3% to 0.4%. The New Zealand dollar rose about US0.7c after the figure came out, rising to fresh day-highs of about US84c, having earlier risen by as much as US1.5c after the US Federal Reserve surprised the global markets by delaying the "tapering" of its quantitative easing programme. Before the Fed announcement the Kiwi had been worth about US82.25c. Stats NZ said in its information release that economic activity for the year to June was up 2.7%. When compared with the June 2012 quarter GDP was up 2.5%. The main drivers of growth in the June 2013 quarter were business services (up 2.6%), construction (up 2.3% again influenced by the Christchurch rebuild) and retail and accommodation (up 2.1%). Westpac chief economist Dominick Stephens and senior economist Michael Gordon said they remained comfortable with Westpac's pick that the September quarter may see 0.9% GDP growth. "Private consumption growth was a whopping 1.5% in the [June] quarter, led by durables consumption up 4%. This is further confirmation of our key view that rising house prices are spurring consumer spending." They said that the "bigger picture" to emerge was confirmation that, aside from drought-induced volatility, the NZ economy is firmly in the grip of a widespread upturn. "The driving forces are the Canterbury construction boom and rising house prices. But the most critical information was around consumer spending. "At one stage the Reserve Bank doubted that rising house prices would induce much of a consumer frenzy, and therefore would not be much of a problem for CPI inflation. Those doubts will now have been well and truly dispelled in favour of our long-held view that consumers will respond to rising house prices in the same way as they have over history." ASB economists, meanwhile are picking economic growth of around 1.2% in the September quarter. ASB's Christina Leung said the latest GDP result was "encouraging, and points to underlying NZ economic activity gaining momentum". "We continue to expect the RBNZ will wait until March next year before lifting the [Official Cash Rate], reaching a peak of 4% in late 2015. "The risks are skewed to a slightly earlier or more aggressive start. However, we expect the RBNZ will want to give the LVR restrictions time to show what impact they are having. Moreover, the [New Zealand dollar] has recently started to track above the RBNZ’s expectations, which will help to reduce some of the inflation pressures later this year," she said. Deutsche Bank NZ chief economist Darren Gibbs also said the September quarter was shaping up to be very strong. "We would be surprised to see GDP growth of less than 1% quarter-on-quarter." He said after the latest GDP figures the RBNZ was unlikely to view the economy in a much different light to the way it had seen it in its most recent Monetary Policy Statement. However, of greater consequence ahead of the RBNZ's December MPS, may well be the restrengthening of the exchange rate. "At present, at 77.8 the [trade weighted index] is trading above what had been assumed in the June Monetary Policy Statement (77.4), let alone what had been assumed in the September Monetary Policy Statement (74.7). "On any reasonable assessment of combined monetary conditions, a continuation of this strength would suggest that the degree of policy tightening now forecast by the RBNZ by year-end 2014 is overstated by at least 50bps, with current market pricing even more stretched." Gibbs said developments in the exchange rate will have a strong bearing on monetary policy, as the RBNZ had emphasised. "Moreover, before deciding to tighten policy we expect that the RBNZ will want to see clear evidence that stronger growth in activity is being converted into a stronger labour market and a clear up-turn in inflation pressures. "We continue to think that 75bps of tightening in the OCR in 2014 (probably, but not surely, beginning in March) is ample at the stage, especially if domestic political uncertainty grows in 2014 as also seems to be a strong possibility." BNZ head of research Stephen Toplis opined in similar vein. "...One can’t look at the GDP data in isolation. Perhaps more important than the GDP outcome, today, was the NZD’s reaction to the news that the Fed is on a more stimulatory trajectory than had been expected," he said. "The surge in the NZD has pushed the TWI up to 77.8. This is 4.2% above the level the Reserve Bank has assumed for the currency over the next twelve months. The Reserve Bank recently raised its OCR track by 50 basis points to accommodate what was a much lower currency. We believe that the recent movement, if sustained, would reverse half of this hike." Toplis said BNZ would not be changing its "rate track", which has a first hike in March of next year, "but we similarly caution that the RBNZ will not be hurrying to bring forward its own projections when the currency is doing, what it is doing particularly given that Governor [Graeme] Wheeler seems to have a phobia about the potential for interest rate hikes to push the currency even higher". "...At this stage we are looking for growth in the economy of 1.0% through Q3. This is only a tad higher than the RBNZ’s pick of 0.8%." ANZ senior economists Mark Smith and Sharon Zollner said they were "pencilling in around 2% growth" for the third and fourth quarters. "Our concern is not a lack of demand, but whether there will be sufficient supply side capacity to accommodate this," they said. "The OCR will need to move higher next year, but for now a contained inflationary backdrop and concerns over the high NZD will keep the RBNZ on the sidelines." As expected, the drought from earlier this year had a significant impact on the June GDP figures, with the agriculture sector down 6.4%, which was the largest sectoral decline within the latest figures. And, also as to be expected, Finance Minister Bill English and new Labour finance spokesman David Parker had rather differing views on the latest figures. English said New Zealand’s economy continued to "grow steadily, maintaining one of the higher annual growth rates in the OECD". Parker said our economy was too weather dependent. "The weather had a big impact today. The 12th race of the America’s Cup was abandoned and Statistics New Zealand figures released today showed that GDP growth in the last quarter stagnated because of the drought." Stats NZ said the expenditure measure of GDP (GDE) rose 0.1% in the June 2013 quarter, after a 0.3% rise in the March 2013 quarter. "The expenditure and production measure of GDP are conceptually the same. 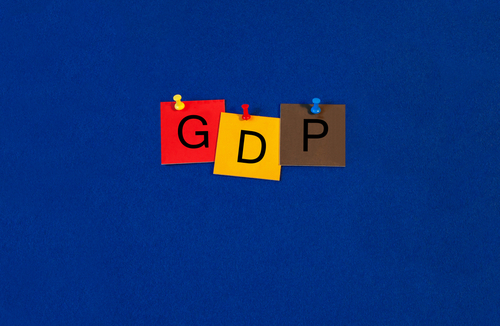 The production measure of GDP measures the volume of goods and services produced in the economy, while the expenditure measure shows how these goods and services were used," Stats NZ said. Stats NZ said dairy production was the biggest contributor to the fall in the agricultural sector figures, while sheep and cattle farming also fell. "Dairy production was down this quarter due to the drought early this year. This was the fourth consecutive quarterly fall in dairy production," Stats NZ said. "This period of decline follows strong increases between the December 2011 and June 2012 quarters, when conditions for grass growth were favourable." Stats NZ said the fall in dairy farming in the June 2013 quarter was also reflected in falls in food, beverage, and tobacco product manufacturing (which includes dairy product manufacturing), and exports of dairy products. "The cumulative effect of the drought has been significant. Since the December 2012 quarter, the level of activity in the agriculture industry has fallen 10.4%. "In previous droughts, there have been attempts to maintain production by using more inputs. This time however, there does not appear to have been an increase in inputs, but a more dramatic fall in production. The final impact of the drought will be shown when annual benchmarks for output and intermediate consumption are incorporated. "These benchmarks are based on more detailed, but less timely data. Because of the strong increase in slaughter numbers in the 2013 drought, especially for dairy cows, it may take longer to recover from than previous droughts. Farmers may take longer to restock their herds and build production back to pre-drought levels." No chart with this title found. Let's just call the above a function of the price deflator revisions. Nominal GDPE for the year ending 30 June rose 2.0715% p.a. From The Office of the "Government Statistician, via the FED". A 25% increase in GDP has been big-noted in NZ. This is a derivative of monumental pr0-p0rtions. wow, the NZ economy is booming! 0.6% growth over half a year! Astonishing! It would seem we have had to borrow ~$2.21 to generate $1.00 of nominal GDPE over the last twelve months at interest rates more than double the economic growth returns. Is that a ponzi scheme? Probably worse than that... when u include Govt debt. Small point Roelof, the government paid down the publicly traded tranche of the matured 15 April 2013 issue during the period in question. This amounted to a net $7.395 billion redemption value over the 2013 2nd quarter. For the super pendantic the RBNZ had previously purchased a significant amount of this issue in an attempt to smooth the redemption bank cashflow disruption. The official "consensus" was for 0.2% growth. However, in recent days economists were sharply reviewing estimates down to the point where it is extremely unlikely that "consensus" was still valid. All four of the big banks were in the end forecasting minus figures for the quarter. So, our biggest banks at least are certainly a bit 'surprised' - and the reaction of the NZ dollar tells you that too. Hopefully at the next election we'll have a Labour/Greens/NZ First/Mana/Maori Party government, then we'll see some real growth! Id suggest you South Australians should be more worried about Abbott pulling the pin on your car industry. Me thinks your've backed the wrong horse. If you had stayed in Auckland you would be sitting on a nice wee capital gain and the prospect of going down to the viaduct to soak up abit of America's Cup! GDP's running at about 3% on an annual basis Matt, so whats the problem and which other OECD country do you want us to emulate in that regard ? So let's get the facts straight. Since the Christchurch earthwquake a few years ago, economists have been spruking that the massive rebuild plus a few other things will lead to 3-4% annual GDP growth. Even with the stimulus of the rebuild, growth has been running closer to 2% and unemployment is way above 6%. The other fact is, other than some reasonable dairy stimulus, the growth is really coming from short term stimulus (beginnings of Christchurch rebuild and another mini housing boom) rather than anything economically profound. That's why your smugness is ill founded. And lets get another fact straight. I am not a Greens suppporter. I am not even a Labour supporter. I voted Key in first time around but didn't vote last time. Just because I think the National Government is rubbish does not automatically imply I support the other side of politics. And one last thing. Some of you guys really show up the small minded, Aussie-bashing kiwi mindset in all its glory. Grow up. oh yeah and I should add, for the sake of you small minded Aussie bashers...the relative strength of the Aussie economy these last few years has been a key reason NZ has done alright. So again, think carefully about being smug about Aus's demise. Ironic that you should cry Aussie bashing. Seems to me you are always trying to justify your decision to shift camp by putting the boot into your former country at every opportunity, as witnessed by your comments further up the thread. How distressing it must be for you to see NZ trucking along quite nicely underpinned by the tailwind of ever increasing global protein demand and a govt that has competently managed its books through challenging times. Actually Matt, I quite like Aussies, but you're a Kiwi right ? I take people based upon what they say/said and you extrapolated a massively drought affected quarter to add it to another and claim that 0.6% for 6 months is a sign of how the economy here is performing - it's either a naive, ill informed or a biased agenda driven comment irrespective of what Govt is in charge - you can choose. I say its running at a 3% annual rate and neither of us know whether that's true, but I have diaried your comment to congratulate you or remind you in the early new year of the facts. QE was only a short term solution if politicians were going to act on fiscal deficits. They have not and will not and it could have easily been seen that they would not even before the launch of QE. The only thing that will force politicians now to cut fiscal deficits is rising interest rates. And so you cheer as the false market in gilts continues with radically distorted allocations of capital. Indeed having increased the stock of money well beyond the rate of non-tax funded transactions in the economy you call for more increases in the stock of money - permanently by burning gilts! Your assumption is that growth will eventually catch up with the early expansion of the stock of money. The problem here, Ambrose is that you count state spending as a sustainable component of growth and at its current level it clearly is not. You see Ambrose you fail to recognize that much of state spending, even though it is added to the calculation of GDP, is consumption without economic replacement other than through more taxation. Thus the issue is not finding new ways for the Treasury to spend money but rather re-balancing the economy away from state sponsored coercive transactions and to more voluntary wealth creating transactions. How is this re-balancing to take place? Through (a) radical tax cuts and (b) supply side reform of the economy, especially the removal of the state as a monopoly producer of over 40% of the economy. This of necessity means the UK leaving the economic constraints of the customs union called the EU. Ambrose, QE should be tapered to provide the political incentives to re-balance the economy. There is no such thing as a free lunch especially when that lunch is being cooked by the state. Will we remain passive given renewed talk of currency wars? The Federal Reserve's shocking decision not to taper, despite broad expectations for a $10-20 billion reduction of its monthly asset purchases, has reignited talk of a global currency war. Risk-on currencies like the Australian dollar, the euro and the British poundsoared in response, while the greenback dropped across the board. Now some analysts say the Fed's decision could prompt other central banks to devalue their currencies in an attempt to retain a competitive edge. The RBNZ signals to lift rates hard and fast, now mixed with the US keeping the printing presses going gangbusters, will guarantee an overvalued exchange rate. Yet we have a housing bubble in Auckland at least; driven it would seem by large waves of foreign capital coming in. So dropping the OCR is not a great option. There are other tools in managing capital flows. The UK has been aggressive in using them, as have Switzerland, Japan and others. Only NZ and Australia sit on the sidelines and have their current accounts get hammered. OCR likely to stay where it is for two more years with the possibility of a cut of up to half a percent. Europe and USA will be in crisis for at least another 5 years - been 5 years already. As for ChCh providing a GDP boost - the place is like a ghost town with very little happening down there. All the trades will be moving back to Auckland to take advantage of opportunities there as net migration gain triggers demand for new housing. I assume Auckland also has cheaper accomodation? chch for subbies is supposed to be heftie....cant blame them for leaving.